Please feel free to send us your question, we'll feedback to you ASAP. Convert movies/films to any format you want, and enjoy any videos on your devices like iPhone, iPad, Mac, or Apple TV! 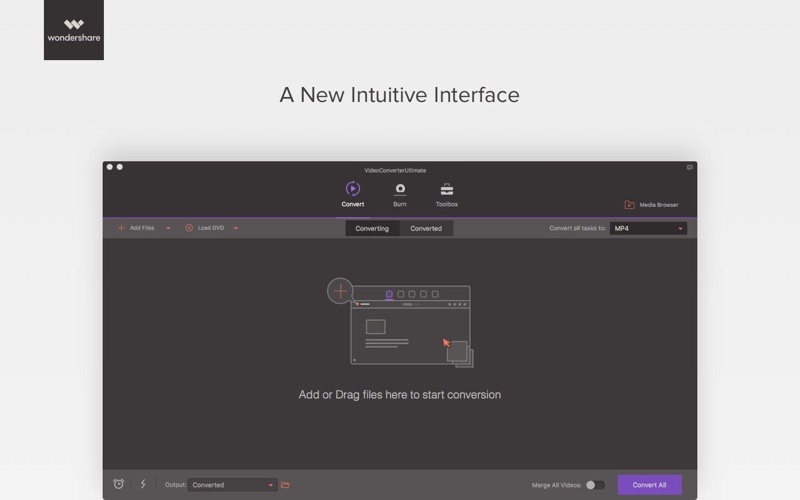 +Up to 30X Ultra-fast conversion leaves the competitors in the dust. +The final result will be in perfect quality (even in 4K or 3D) no missing key frames, redraw issues, or crashes. +Supported format: 4K MKV, 4K MOV, 4K MP4, FLV, AVI, OGV, VRO, MXF, M4V, MPG, MOD, DV, MTS, MP3, AIFF, WAV, etc. 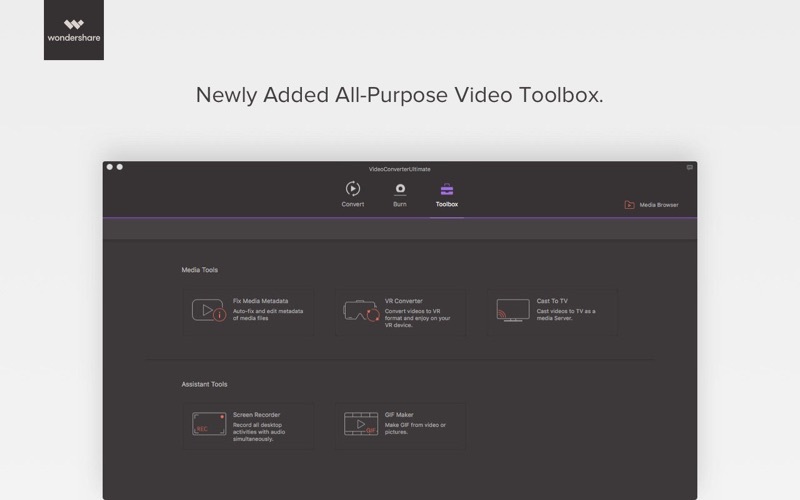 +Supported output devices: Whatever mobile phones or tablets you use, such as iPhone, iPad, iPod, Apple TV, Apple Generic, PSP, PS, Samsung Galaxy, Kindle Fire, Xbox One, Blackberry, etc, VCU allows you to convert the video to them directly. 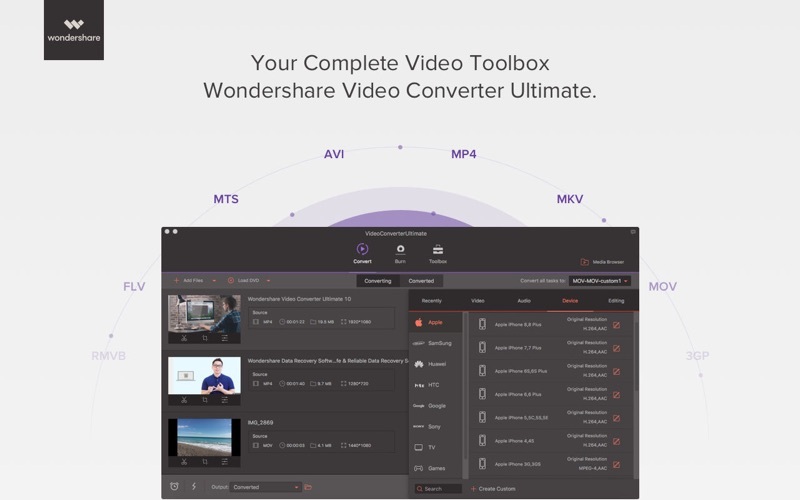 + Supported AVCHD files recorded by your camcorders: Simply plug in your device and then it will automatically scan and display all of your recorded files onto the main window. Alternatively, drag-n-drop your AVCHD files from your desktop's folder or memory card. +Necessary tools: trim, crop, rotate, merge, adding effects, and adjustment of brightness/contrast/saturation. 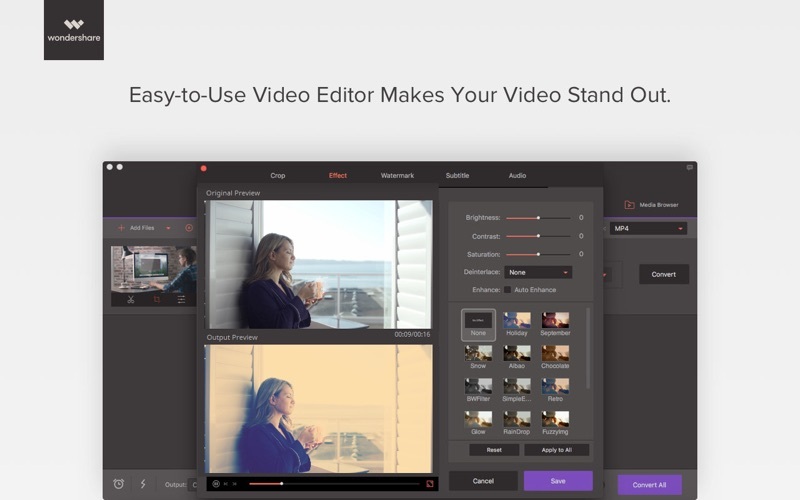 +Add a watermark to personalize your video. +Better enjoy your downloaded video by adding subtitles. 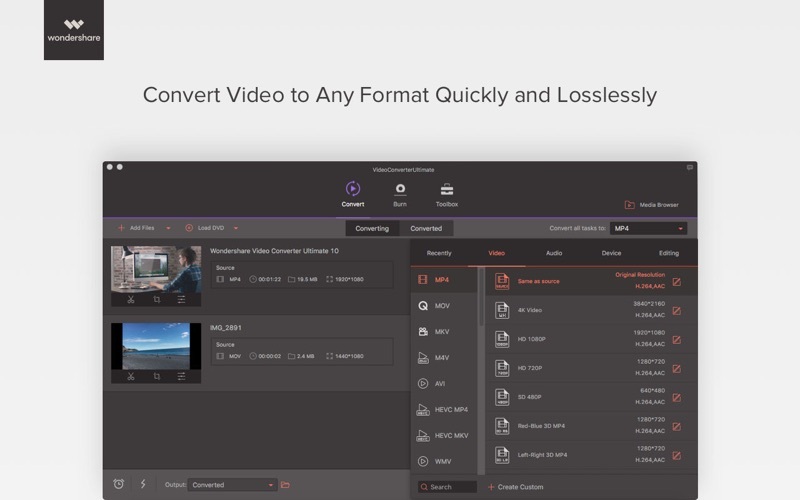 +Choose the aspect ratio you prefer, and burn your video files directly into DVD, or save as DVD folder and ISO file on you Mac, with custom menus. 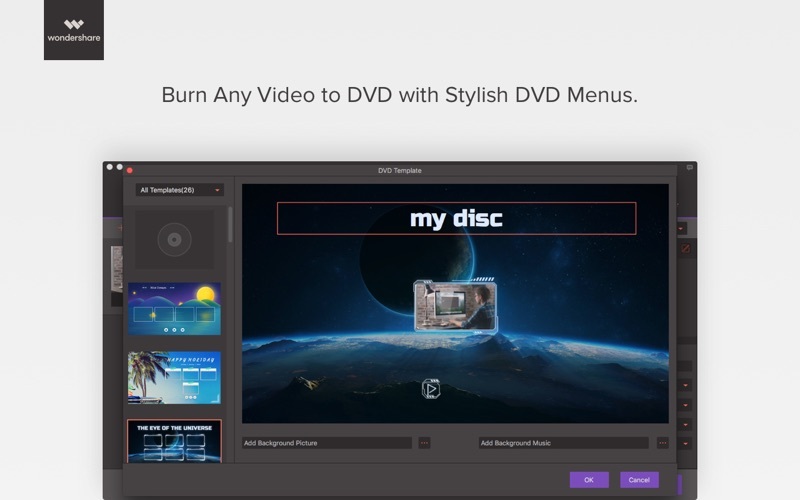 +Support burning formats: OGV, VRO, MXF, MOV, MKV, MP4, AVI, WMV, MTS, HD, even 4K videos to DVDs. +Share directly to YouTube, Facebook, Vimeo and more. 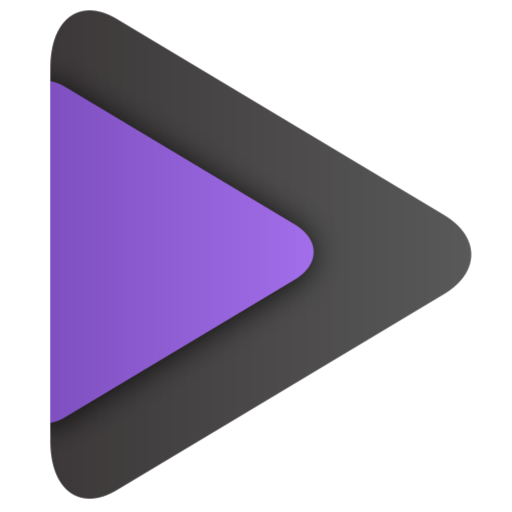 +Download online videos directly from YouTube and other popular sites in just one click. +Metadata Retrieval —Retrieve and edit movies' metadata such as artwork, actors, directors, episode name, and etc. +Advanced iTunes —Videos converted with metadata from iPhone/iPod/iPad will be automatically transferred to iTunes. >>>Works with OS X 10.6.6 or later!